• Our expert advice results in tangible benefits for Your business. Based out of our offices in Birmingham, Flint & Thompson offers a complete range of professional services to businesses in the Birmingham and the West Midlands area. 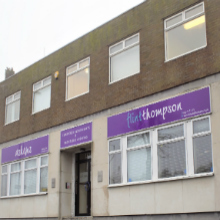 The Flint & Thompson accounting propositions satisfy the needs of businesses of all types and sizes. The way we work with our clients is to be friendly and courteous offering the most efficient service. We aim to exceed your expectations, by listening to what you say. We always keep you in the loop and never give you surprises. We will build your trust by offering a top-rate service at minimal cost. For annual compliance, preparation of accounts from basic records supplied by the Client. They will be produced in a format that is compatible with HMRC requirements (iXBRL). The provision of timely and accurate financial information is vital to assist businesses make the right decisions. Flint & Thompson will look after your regular management accounts needs. Preparation of individual self-assessment returns (sole traders, partners, directors etc. ), partnership tax returns, company tax return (CT600) for limited companies and VAT returns for submission to HMRC. 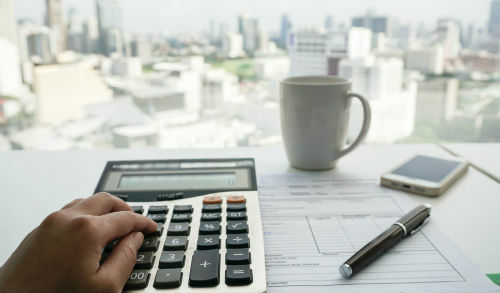 We can perform your monthly, quarterly and annual accounting and bookkeeping services, or simply supplement your current staff – in-house, online or, depending on location, at your premises. Designed to bring you reduced stress, fewer hours worked and increased profits. Payroll processing including production of wage slips, payroll summaries, P60’s and annual returns. Preparation of P11D forms. We can deal with your regular RTI submissions. Flint & Thompson can assist you with planning your business, starting your business, managing your business and growing your business. Speak to one of our Partners for advice. Flint & Thompson’s outsourced FD service is like having an outsourced finance department. We provide an accountant to manage your books. You don’t have the cost of hiring, employing and training that person. Flint & Thompson can offer commercial insurance solutions for our clients through our relationship with the Askews professional services group. Flint & Thompson can assist you in the formation of a limited company, including the completion and submission of the company’s statutory documentation including all necessary disbursements and the printing of Memorandum and Articles of Association. These are basic but essential services aimed at taking the pain out of your business and allowing you to concentrate on your core activity. Flint & Thompson can perform these services for your business. Whole of life tax planning through Income Tax, Corporation Tax, Capital Gains Tax and Inheritance Tax. We can help advise on the best structures to mitigate all liabilities. We work as a competent expert team using the latest technology and most up-to-date HMRC guidelines to give our clients the highest quality advice possible.